There is renewed worry among some Reston residents that a popular golf course could be a step closer redevelopment. The owners of Reston National won a ruling that removes a big stumbling block to turning the course into a residential area. In 2012, lawyers for the golf course owners initially asked Fairfax County's zoning administrator if the property was subject to restrictions. Zoning officials told RN Golf Management LLC they'd be required to first get the county's comprehensive plan amended before they could submit a redevelopment plan. The ownership group decided to appeal. In a unanimous vote Wednesday, Board of Zoning Appeals came to a different conclusion that could make it easier for owners to redevelop. The BZA determined RN Golf Management can use the normal redevelopment process if it decides to move forward. A group known as Rescue Reston, which opposes any change to the golf course, promises to continue its fight. "[The BZA ruling] was a big disappointment and it does not end today," Rescue Reston President Connie Hartke said. "This is open space. 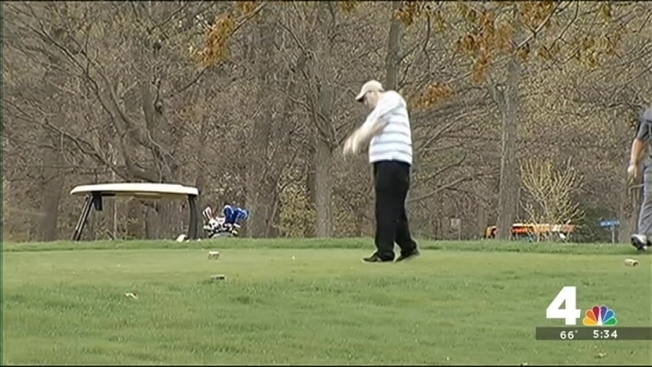 Both golf courses in Reston have been open space since the beginning. No one ever anticipated that they could be developed into anything other than recreational open space." The lush view of the golf course from the back deck is what sold Kathy Kus six years ago when she bought a town house next to Reston National Golf Course. She put in a bid the very day she saw the home. "I said, 'Oh, this is absolutely perfect,'" said Kus. Now she and many Reston residents fear their idyllic views and the coveted open space could be in jeopardy — that the fairways could become asphalt streets dotted with homes. "It goes against what Reston is," said Kus. "It's a planned community and for 50 years it's been a planned community." Hartke takes a similar view. "If you throw out Reston's master plan, Reston falls apart as a unique place in Fairfax County." "This was only an effort to confirm property rights. This was not an effort to rezone or to change anything." But Rescue Reston leaders said they may not wait to find out if RN Golf Management really has residential redevelopment in mind. Hartke said they will consider filing a lawsuit in circuit court challenging the Board of Zoning Appeals decision.